There is always something going on in this exciting city—boasting one of the UK’s largest selections of music, multimedia, and performance venues. You can choose from cutting-edge drama to the best of the West End musicals, rock with laughter at the comedy clubs, or just plain rock at dozens of live music venues. You can enjoy the perfect pint in one of the city’s ancient pubs, or the perfect Martini in one of its award-winning cocktail bars, or dine in style, in one of the city's excellent restaurants. Or, if you're more at home outdoors, grab your walking boots, or bike, and head outdoors to some of Britain's most stunning landscapes, like the Cotswolds, Cheddar Gorge, or to Somerset, Devon, and the South Wales countryside and coast. And, if that's too much effort, watch other people tire themselves out at one of Bristol’s sporting venues. Bristol can provide a shopping experience to suit every taste and pocket. The best–known high street names, and the most stylish fashion brands, can be found in the heart of the city at Broadmead, and at the new £500 million Cabot Circus development. We have more independent shops than any other major city––and if you head to vibrant locations like Park Street, Whiteladies Road, Gloucester Road, Clifton Village and the historic St Nicholas Market, for some gift shopping, you're bound to find the unique gift you were looking for. There is also the exciting development at Cribbs Causeway called The Mall, which is located just to the North of Bristol. You can easily live in Bristol or commute into work from parts of Somerset, Gloucestershire, and Wales. There's housing to suit all requirements, and Bristol also benefits from the government’s Starter Homes Initiative, which provides healthcare workers with a foothold on the property ladder. For further housing advice from our Local Authority see www.bristol.gov.uk or visit www.rightmove.co.uk. Accommodation opportunities are also available from www.sovereign.org.uk. 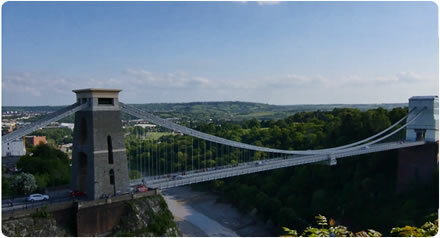 Bristol is home to some excellent educational opportunities, with a host of primary and secondary schools, and Further and Higher Education colleges. The city also benefits from its close partnership with its two major universities: University of the West of England, and the University of Bristol. For further information about education in Bristol see www.bristol.gov.uk. Most of our facilities are close to some excellent road and public transport links. We also run courtesy buses between our sites, and if you join us, we can also offer help with bus passes and rail season tickets. We also have great facilities and user groups for bicycles and motorbikes and support green transport as well as the Bristol Travel Plan. We have limited onsite parking, find out more about staff travel and parking.